Every June for the past 11 years, our family takes a vacation to the Pine Creek area. We stay at the Rough Cut Lodge which overlooks Pine Creek, along Route 6 near Gaines, PA. There are 3 generations of family who enjoy the outdoors, the scenery, rafting, cooking out and just being together. 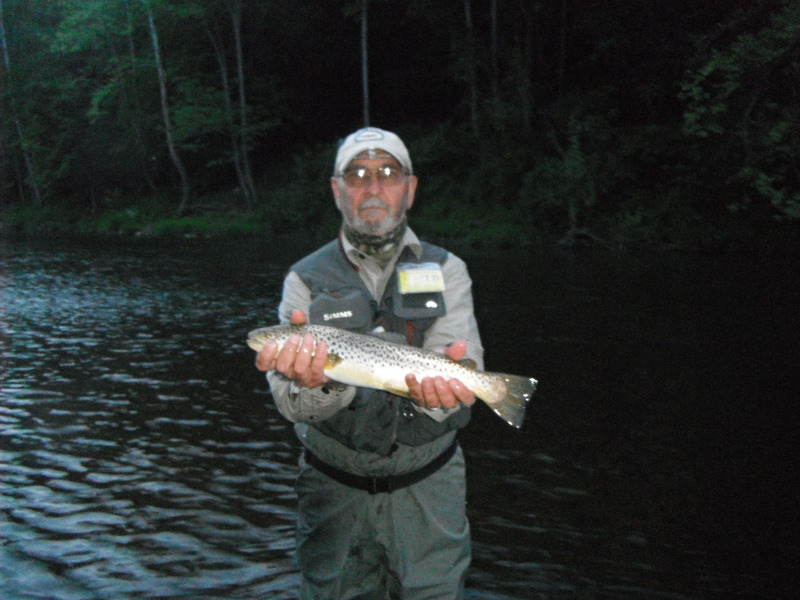 Some of us enjoy fly fishing Pine Creek and other local streams like Kettle Creek, Cross Fork, Allegheny River headwaters, Slate Run and Cedar Run. Pine Creek Hatches: You can see many different hatches while fishing Pine Creek -Over the last 10 days there have been Green Drakes, Brown Drakes, Caddis, Grey Foxes, Sulphurs, Slate Drakes and Blue Winged Olives. On some evenings, there were a blizzard of Drakes but the fish keyed were keyed in on the smaller variety of flies, which always makes Pine interesting and somewhat frustrating at times. Blue Winged Olives in the rain: One of the most fun and productive days fishing was during a steady rain which lasted most of the day…Blue Winged Olives were the ticket! My brother-in law (fishing partner) and I caught 18 nice fish during the rain in the morning and early afternoon. We were the only ones goofy enough to go in that kind of weather. 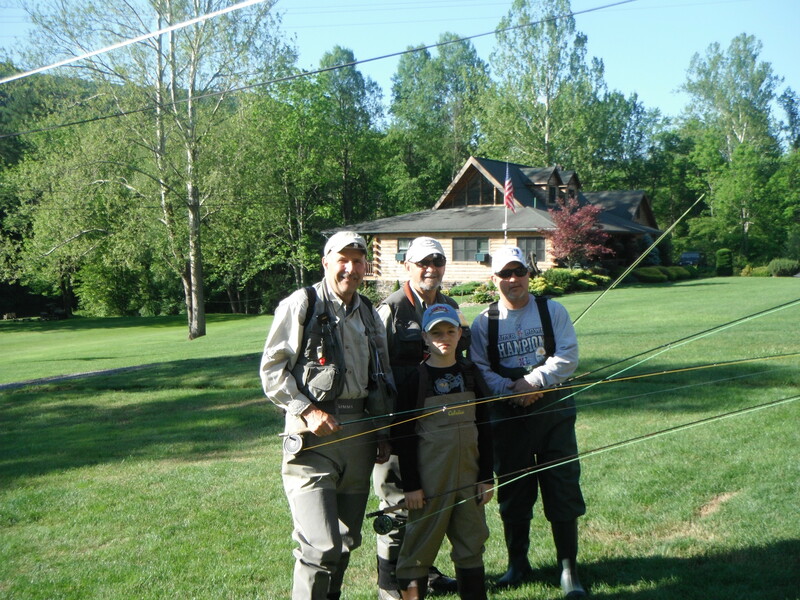 Fly Fishing generations: Another “cool” day was fishing with my brother-in-law, his son and grandson. Rises were sporadic but both his son and grandson caught several fish on Parachute Adams while spot casting for the occasional rise. This year, like others, Pine Creek and the other local streams have rewarded us with some lunkers, some beautiful wild fish, and even some frustration….but a vacation our family always look forward to. 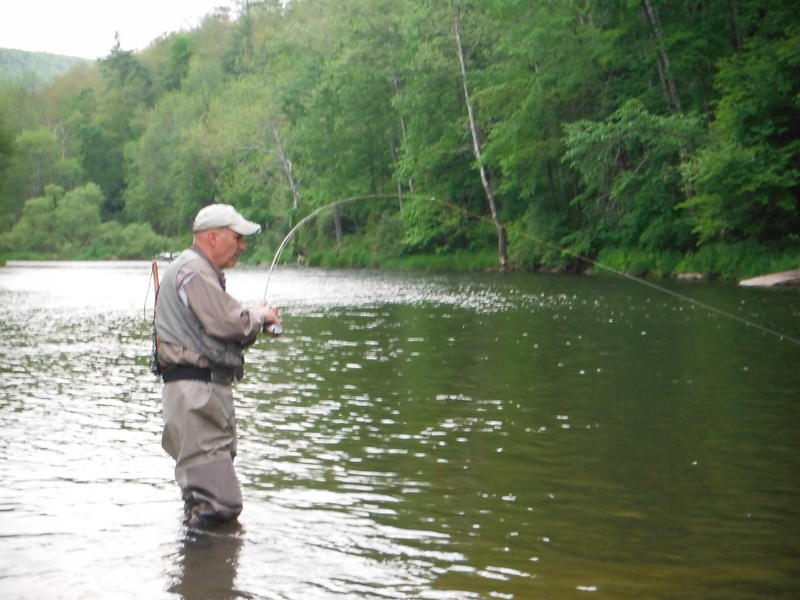 If your fly fishing interests are larger streams, small or medium sizes streams, you can find it all here in Tioga and Potter County, PA. Put in on your “to do” list. Tomorrow we are off to another adventure – Hammersley Fork in Potter County- a tributary to Kettle Creek. The weather is showing rain all day, but we are going anyway….only because we haven’t fished it before. 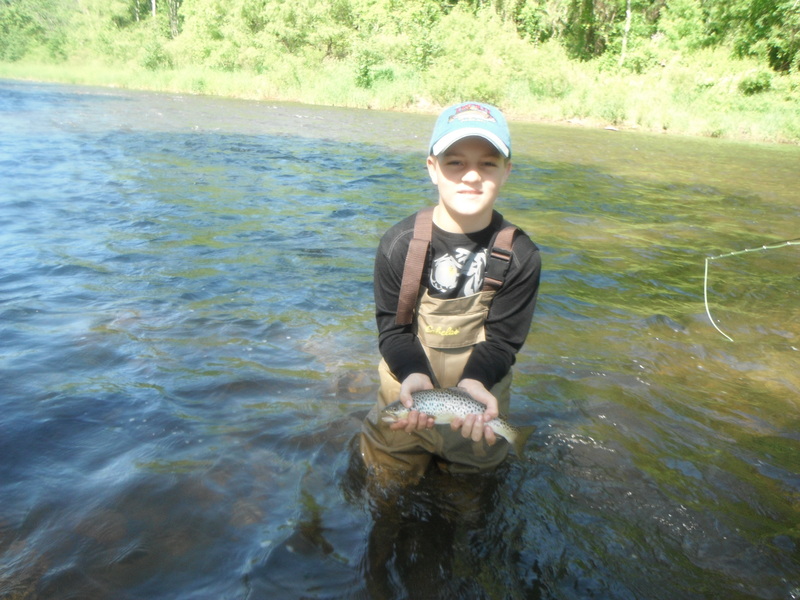 Awesome time this week fishing with my dad my son and THE TROUT SCOUT. We are already looking forward to next years trip to Pine Creek. A great week with great family great fishing and fun. Agree! One of the best mornings was watching you and Colby (with your Dad) catching fish on Pine. That’s what it’s all about! We had a hunting, fishing camp at Elm hollow between Cowdersport and Galton at what is now the lumber monument. The state took our camp and gave us another site.,farther west. When I lived in Pa, before college, we hunted and fished there each fall and summer It was a great place,great hunting and fishing. Now great memories! I have returned many times but since all my friends are dead, its still great but not the same. God Bless. O yeah,, we hunted woodchucks there all summer with our 220 Swifts mike grajcar, Arcadia , michigan (now) then 1954, Elizabeth Pa.